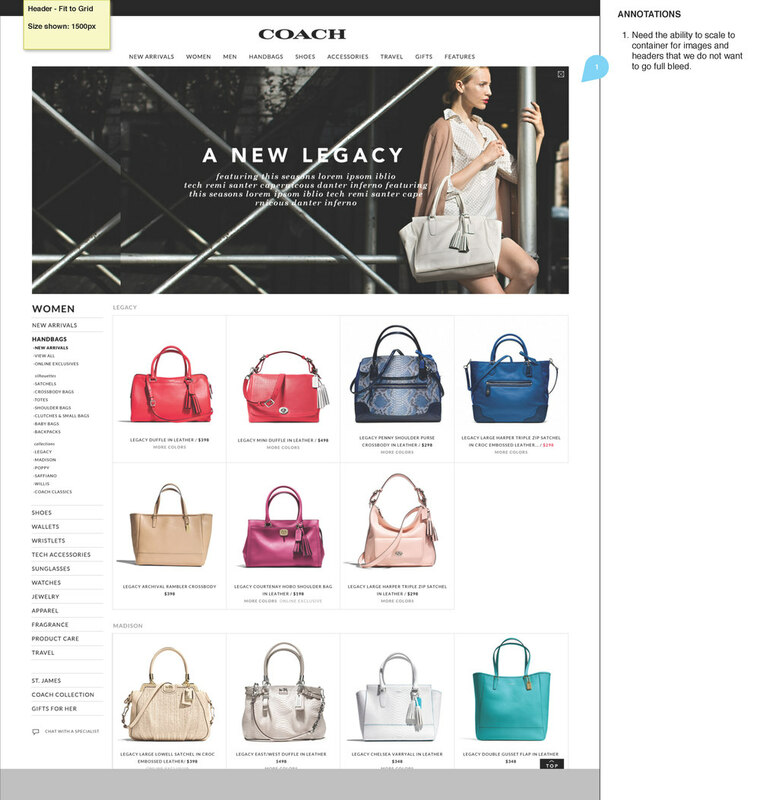 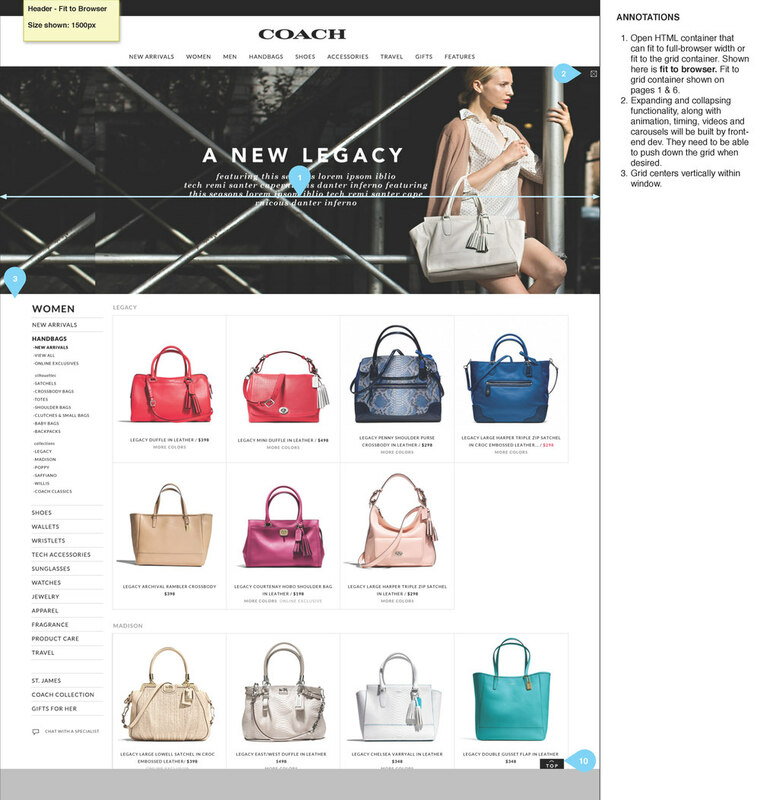 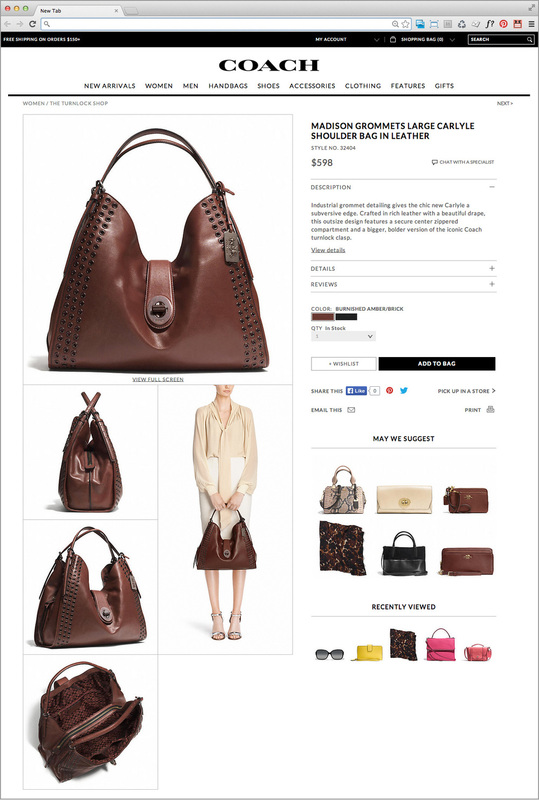 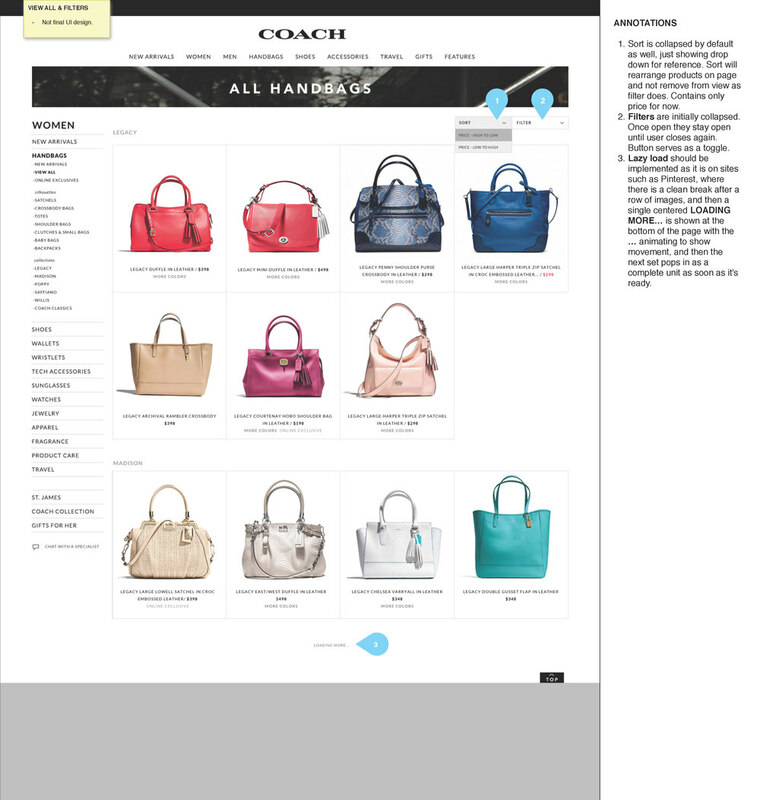 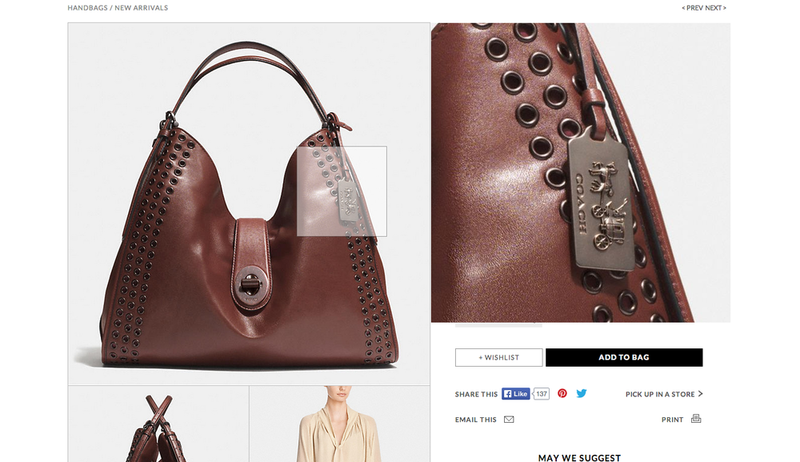 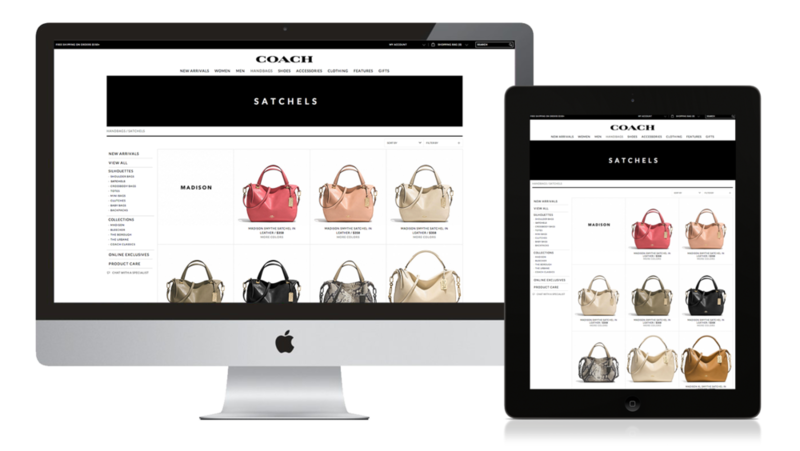 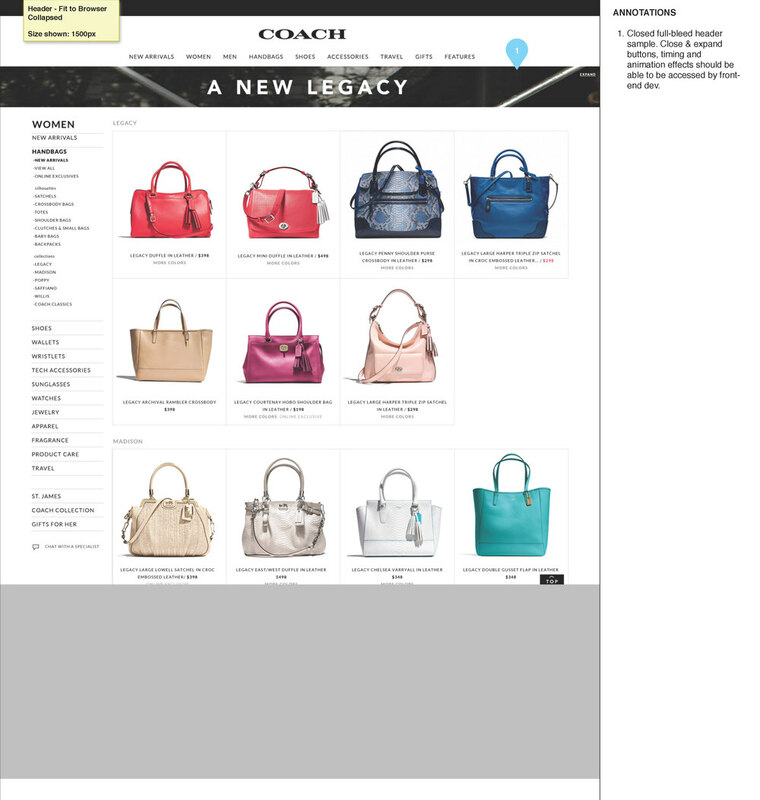 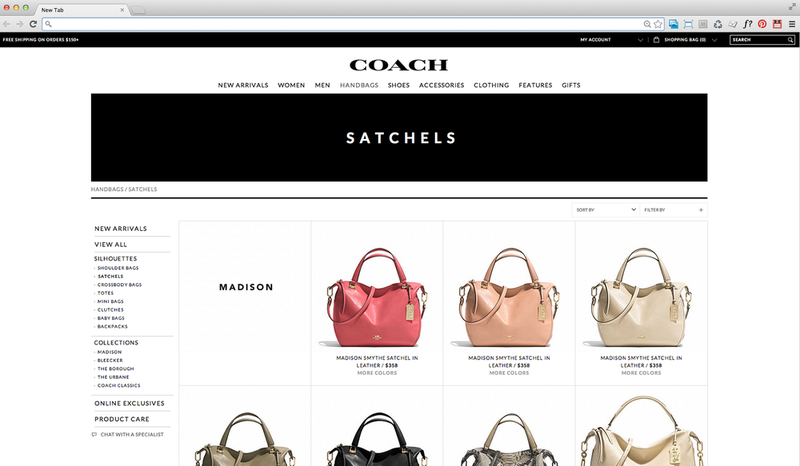 A redesign focused on the category and detail pages of the Coach website. 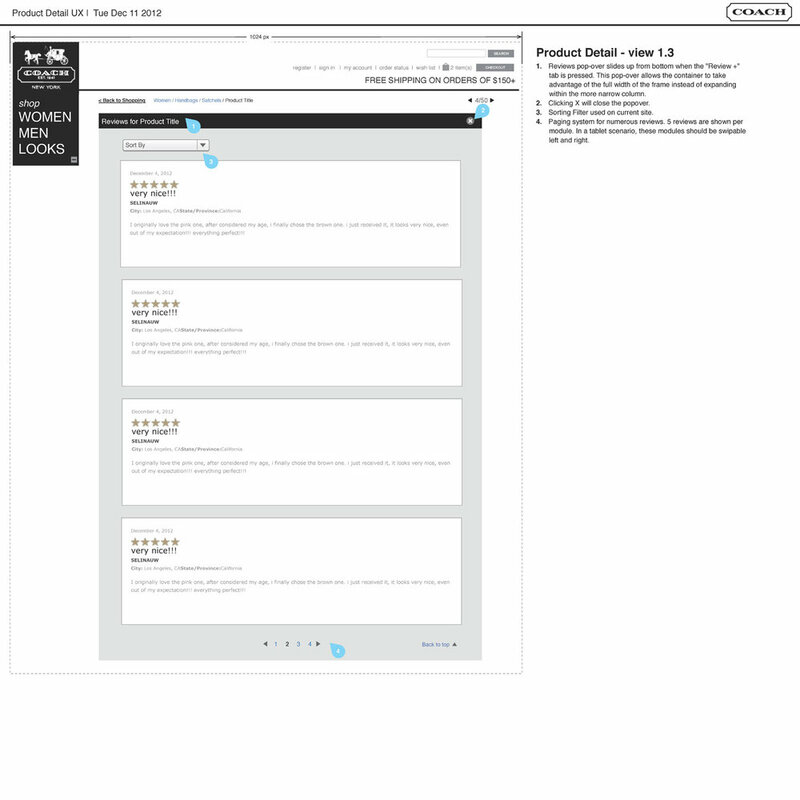 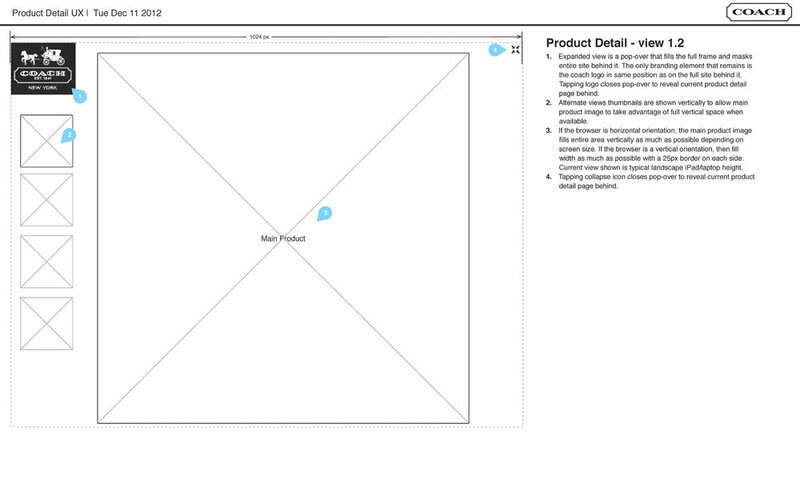 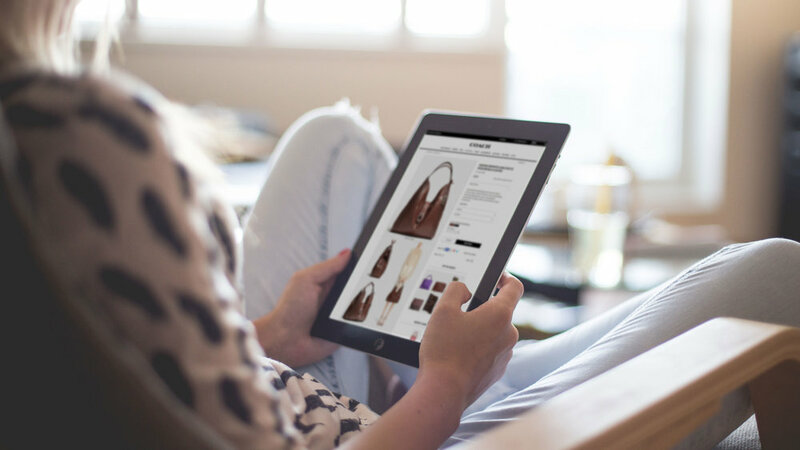 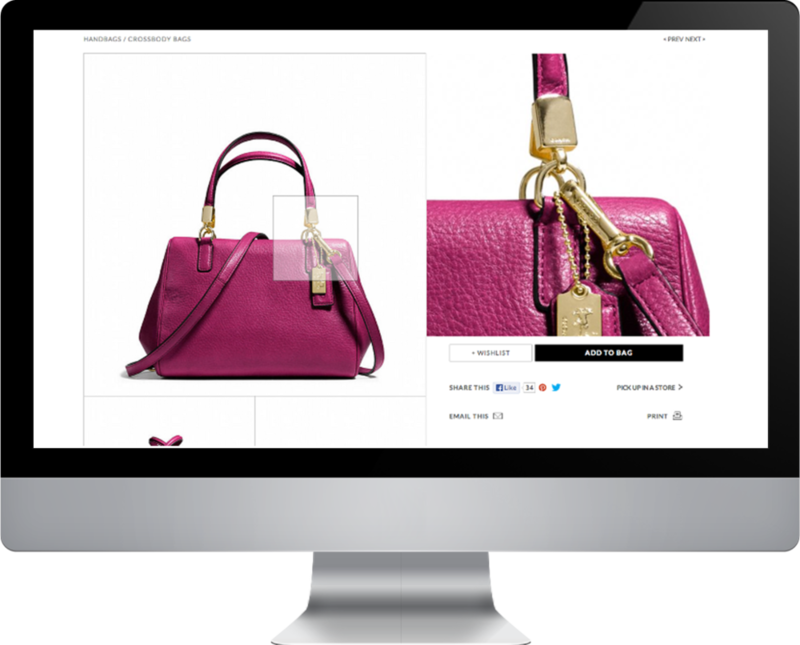 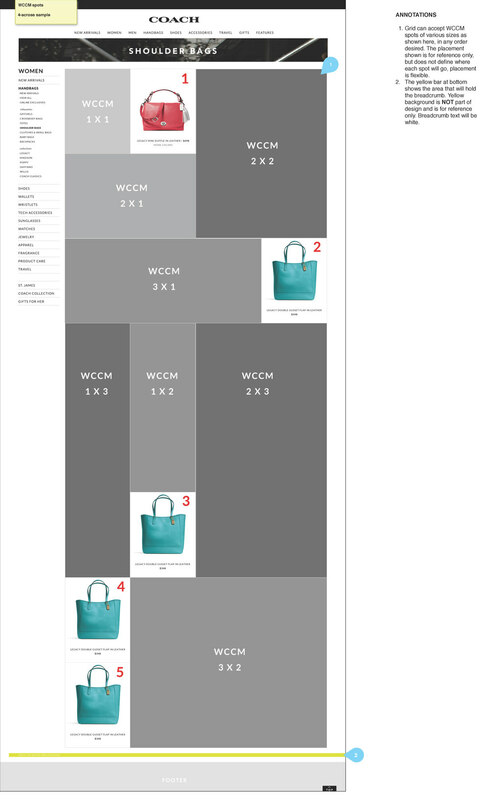 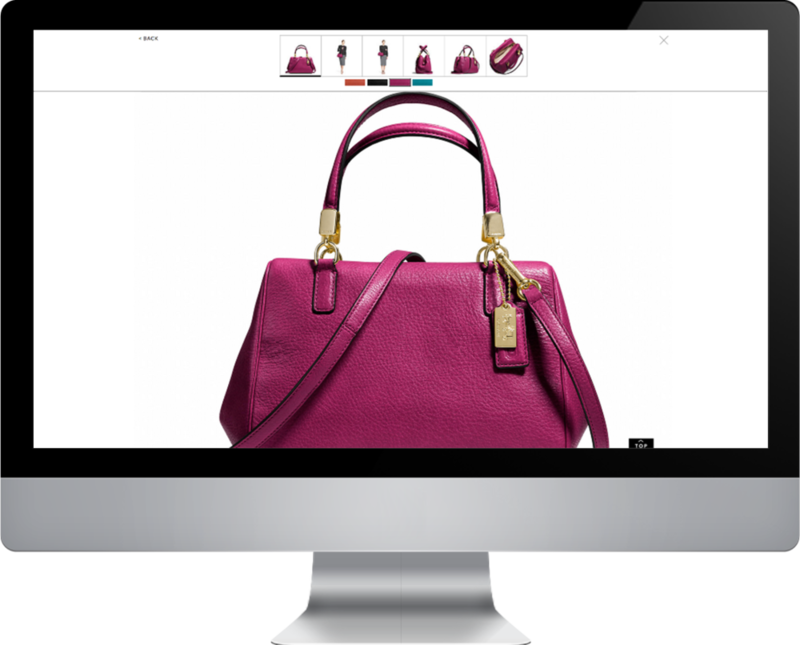 Designed a responsive layout to optimize the shopping experience tablet, desktop and mobile. 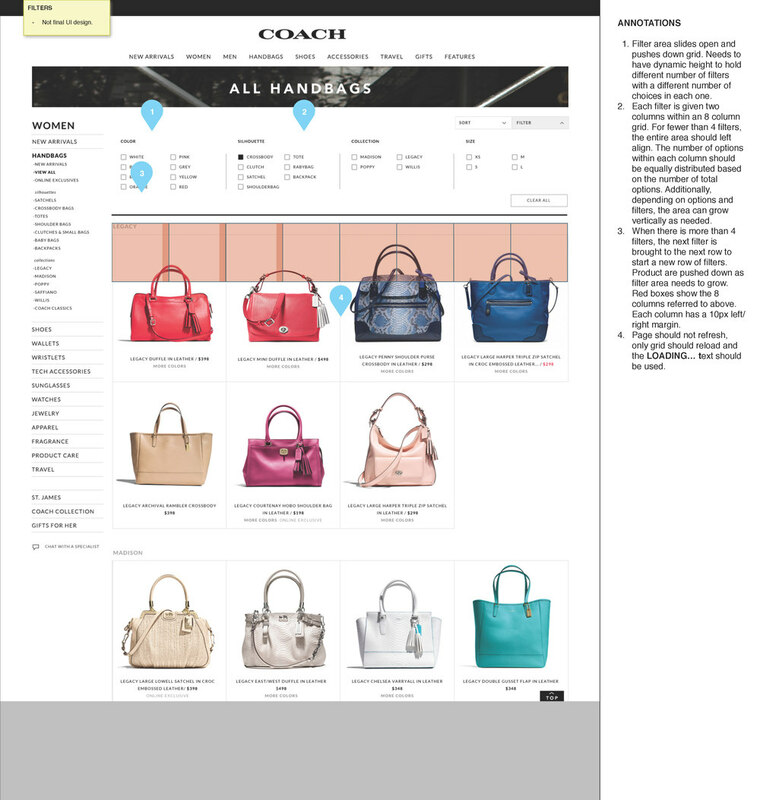 Larger screen sizes utilized an open column structure that allowed users to mark several filters at once, while mobile was altered to use stacked accordions and native selectors for a more optimized experience. 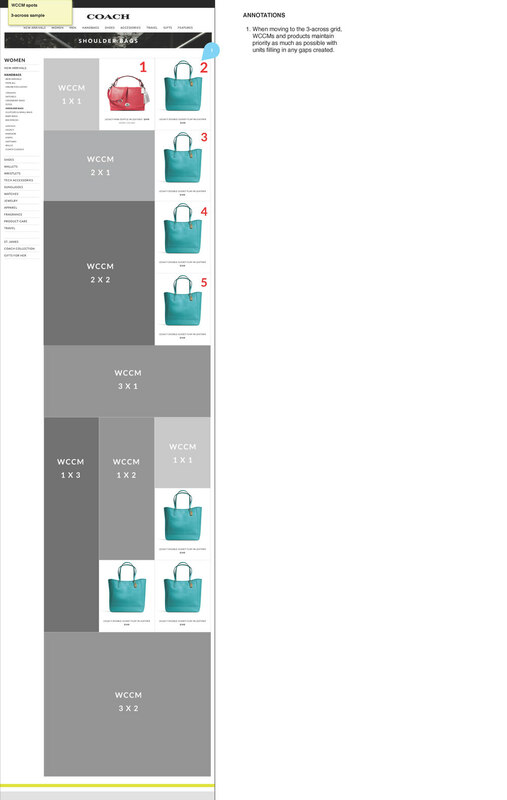 Improved image zoom to showcase product texture. 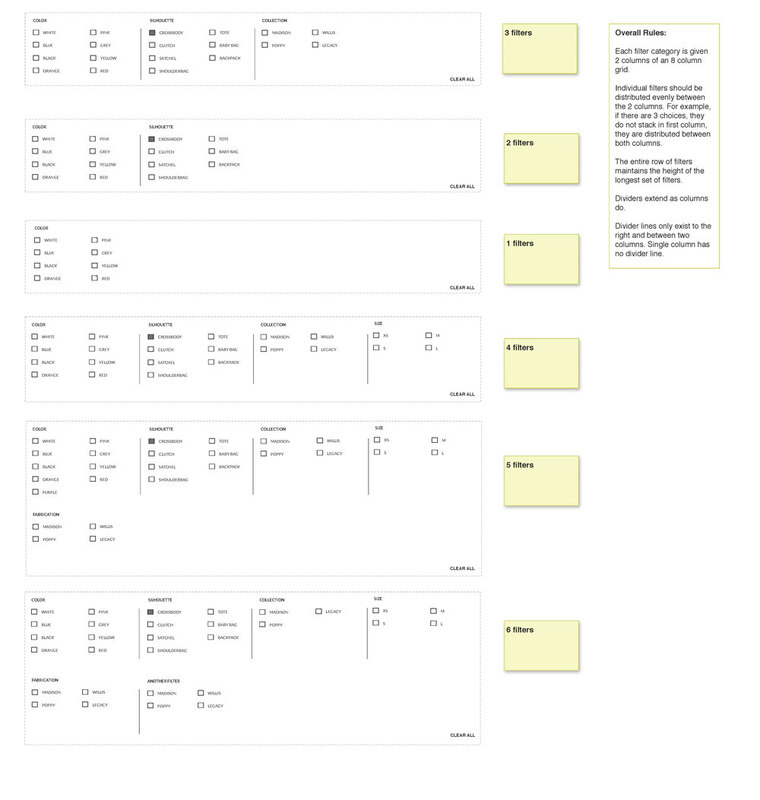 Added full screen zoom as an alternate zoom. 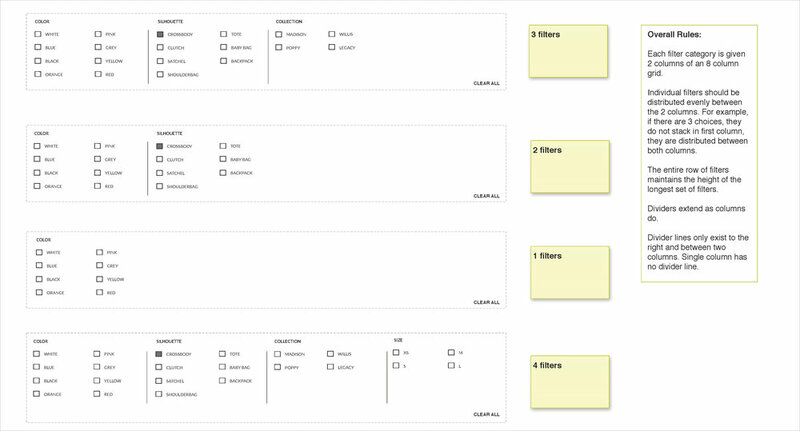 Breadcrumbs help users understand where they are in the hierarchy. 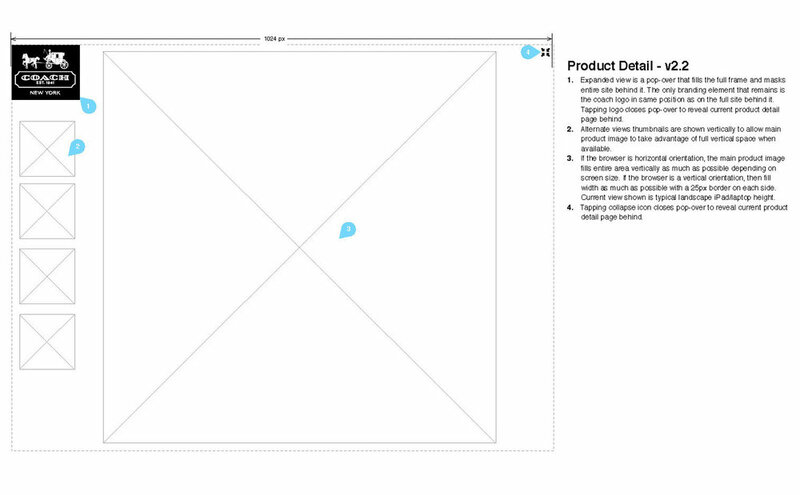 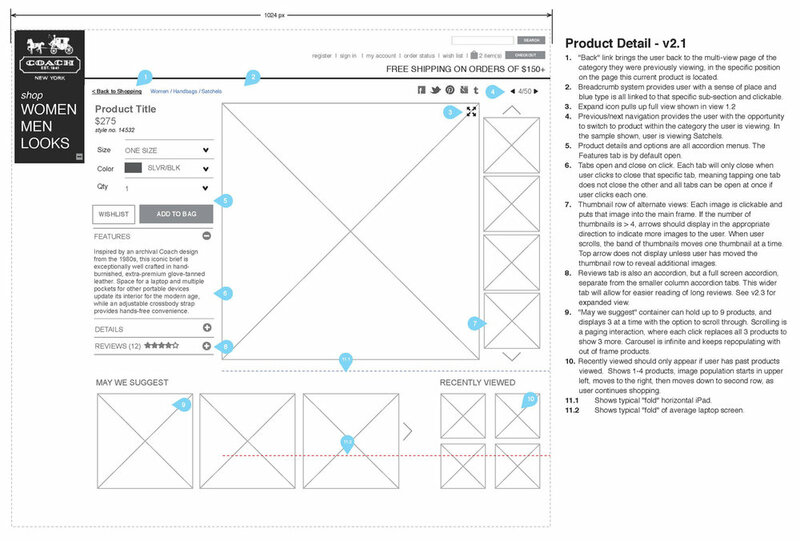 Finding the balance between obvious and overwhelming was key to a successful interface.